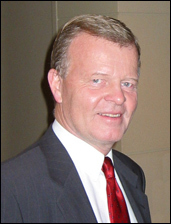 Peter Schnohr is an early-generation preventive cardiologist who initiated a preventive health program in 1968 and then set up a privately sponsored formal cohort study of CVD risk in 1976, the Copenhagen City Heart Study, still ongoing under his direction. He received his MD from the University of Copenhagen in 1968, and as a young cardiologist in 1977 organized a major conference and landmark publication on “Ischemic Heart Disease. The Strategy of Postponement.” Schnohr has been most active in the study of the physiologic and health risk effects of physical activity and athletics. Please click here for a description of the Copenhagen City Heart Study.